An injury sustained earlier this week has forced Chad ‘2 Slick’ Sugden to pull out of the NO HYPE REQUIRED show at Nottingham’s Harvey Hadden Stadium on Saturday 16 March. The Suggy’s Gym 24-year old was scheduled to take on the hard-hitting and unbeaten Sebastian Slusarcyzk on a card which features his younger brother Regis ‘The First’ Sugden making his pro boxing debut. “In a week when we should have been celebrating Bailey’s big win on GLORY 63 in Houston, the news that Chad’s fight won’t be going ahead next month is a blow to us all,” said Suggy’s Gym head coach Dean Sugden. “We chose to make the decision about withdrawing sooner rather than later but we’re confident that this is just a postponement and that the contest between Chad and Sebastian will be re-arranged for a later date. 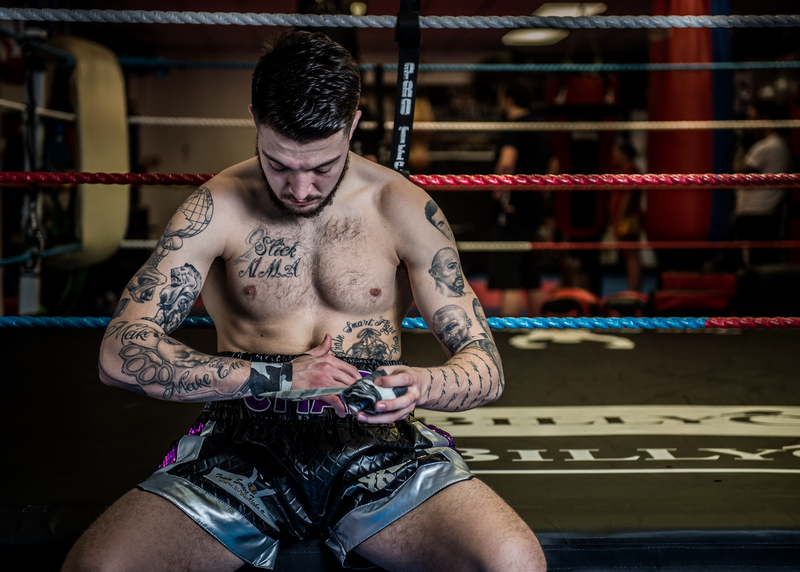 “Meanwhile, Regis is looking strong and sharp as he heads into the final weeks of his training camp and we’re all excited at the prospect of him taking this first step to a new career in pro boxing. VIP Ringside tickets for NO HYPE REQUIRED are already almost sold out but standard tickets, priced £40 each, are still available from Regis or via the ticket hotline 07816 840920.